Happy Thanksgiving to all from the Aikido Institute of Newfoundland. Sensei McDonald has written a document describing what Aikido really means. Please take a look and help learn some of the reasons we practice this wonderful martial art. The Aikido Institute has officially made the move to the new location. Please visit our Practice Info for details. Thursday September 1st will be the final class of practice at the Holy Cross school. After a long history of practice at the school, the Eastern School District has decided to close up the building. Sensei McDonald has been working very hard through the summer to find a new location, and we feel most things are in place. We will post the new location information as soon as everything is finalized. The Aikido Institute is happy to announce that all members have successfully finished the race. Congratulations to all. Some members of the club have signed up for the 89th Tely 10 Mile Road Race taking place on July 24th, 2016. Good luck to all participants: Colette Phillips, Meghan McDonald, Peter Chafe, and Stephanie Curnoe. Several club members tested for kyu rank promotions on May 24 and May 26, 2016. The Aikido Institute of Newfoundland is pleased to announce the following new ranks: Meghan - 6th kyu; Boyd, Mitchell and Dejan - 5th kyu; Patrick and Todd - 4th kyu; Daniel, Joshua and Dwight - 1st kyu. Congratulations to all! New Mobile Friendly site in development - Please check back soon. 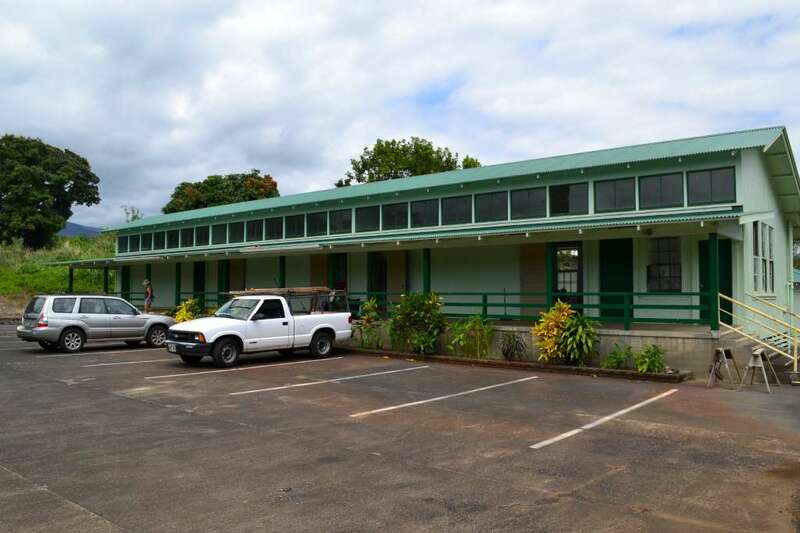 We at the Aikido Institute of Newfoundland are proud to post some information from a school located in Pahala Hawaii. Here is a message provided to our club from Alan Moores of the Pahala Aikido Dojo. Thank you Alan. "My name is Alan Moores. I am a former long term member of the (formerly) Graham Burt Aikikai now the Aikido Institute of Newfoundland. Sensei Dermot Mcdonald was my teacher from white belt to Ni-Dan. Therefore it is with great pleasure that I offer up this information on the Pahala Aikido Dojo. 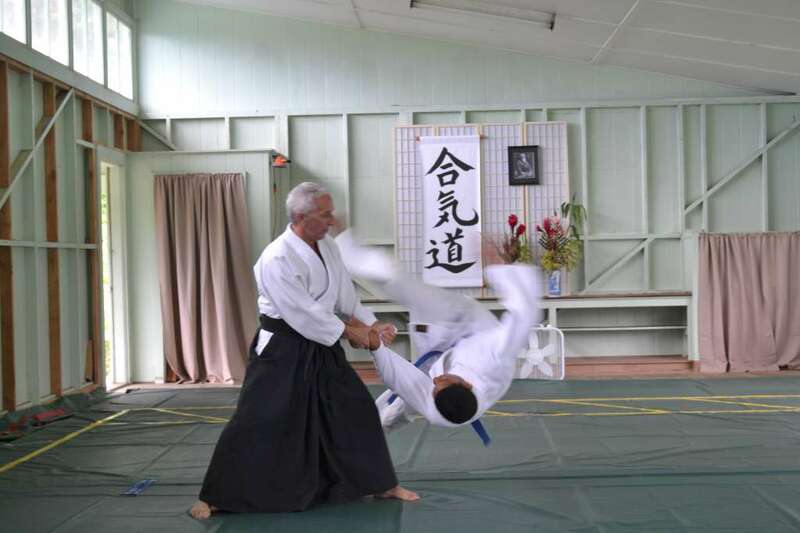 The Aikido we practice here in Pahala, a small remote town of 1230 people, is very much managed along the lines of Sensei Mcdonald's teachings in Newfoundland. I teach the way I was taught and hold the same high expectations of my students. In total I have been practicing Aikido for over 30 years and I have learned that its greatest reward extends far beyond the mat. The town of Pahala is 21 miles from an active volcano and 6 miles from the Black Sand Beach of Punuulu. The nearest city/town of any significance is Hilo, some 52 miles away. The town of Pahala is an old sugar plantation town and is mostly made up of Japanese families. 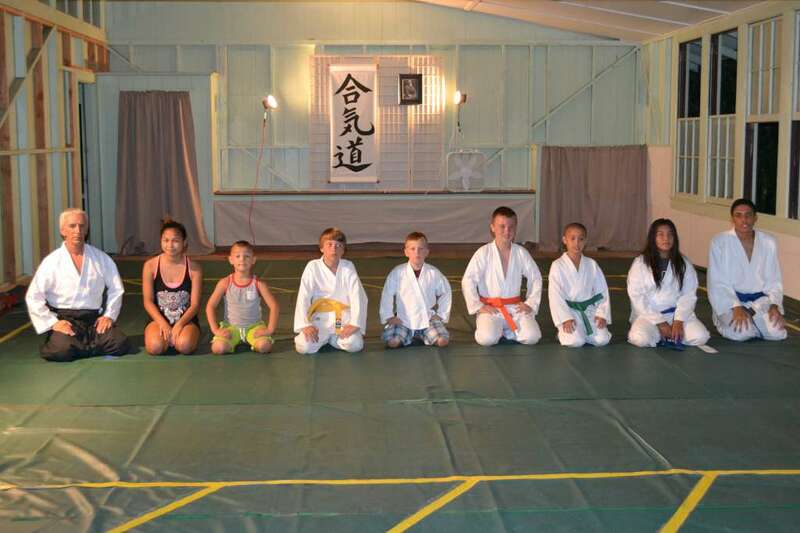 In this small town we have a judo school, karate group and our Aikido. The Aikido is the newest comer under 3 years. The dojo you see in the pics as well as the mats were all provided free of charge by a local non-profit community based group. We have 800 sq. ft of mat space and a small washroom. There is still some work to de done on the interior but we are looking forward to a chance to gain some new members with the new space. The biggest challenge is keeping students beyond 1st Kyu as most head of to college or move to the mainland and other islands. I often tell my students stories about Sensei Mcdonald and the things he made me do as I prepared for my Sho-Dan grading. We also look on facebook and I show them the pics. Explaining who's who! It is wonderful to see the dojo in Newfoundland still active and strong this many years later. I know that what I learned in Newfoundland is now helping young people here in Hawaii appreciate and share in the amazing world of Aikido.